VPG/ETA (Engineering Technology Associates, Inc.) has accumulated rich experience inconsulting engineering and technical services for nearly 20 years, VPG is used by major car manufacturers including Ford, GM, DAIMLERCHRYSLER, KIA, etc., and has accumulated rich knowledgein automotive industry, CAE technical service and the development of the vehicle simulation software. The emergence of VPG technology and automotive industry demand for CAE are inseparable, the past decade, automotive CAE analysis technology has been deep into the product design process, but the development of automotive technology is not satisfied with the parts analysis, the need for faster and more convenient , More accurate large system, until the vehicle system more realistic non-linear simulation. Second, the system analysis can overcome the component structure analysis of the uncertainties in the uncertainty of the load. Third, the automotive product design has entered the limited life of the design phase, requiring the use of vehicles in the design of the vehicle and parts intact, does not produce fatigue damage, and after the period of use, the parts as much as possible to achieve injury. 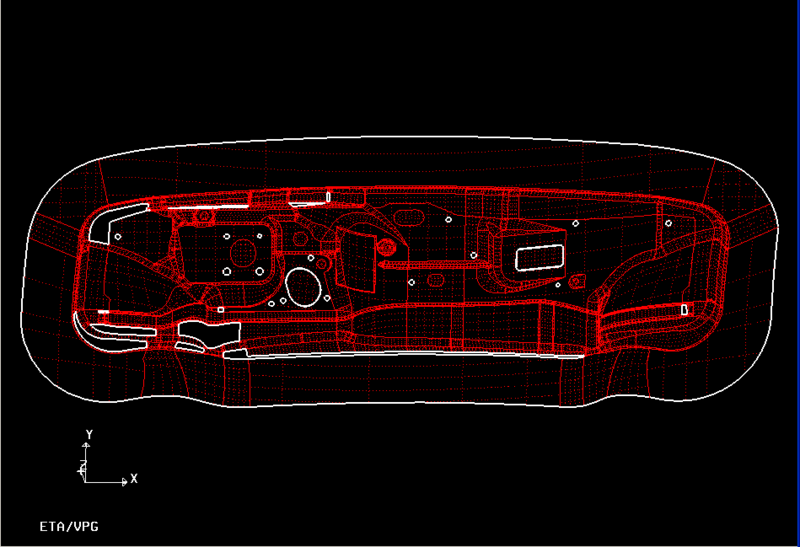 In order to product lightweight, save materials and save energy, which requires the use of real load analysis. 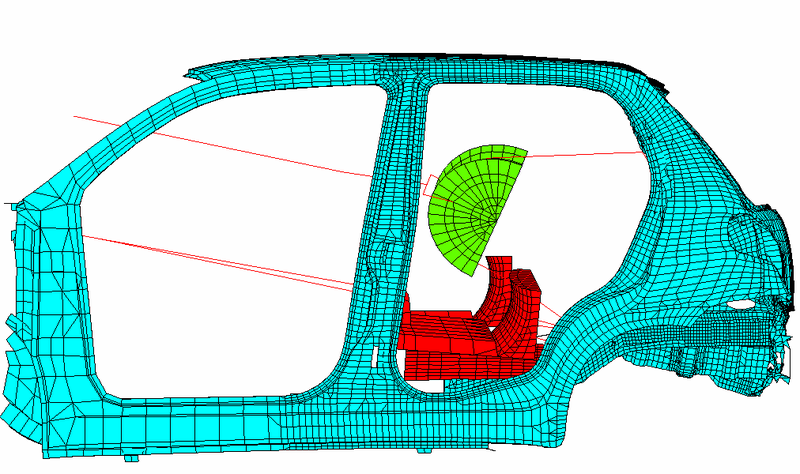 The performance of vehicle, such as comfort, driving stability analysis is not satisfied with the traditional rigid simplified assumptions, requires consideration of the impact of structural deformation stiffness. 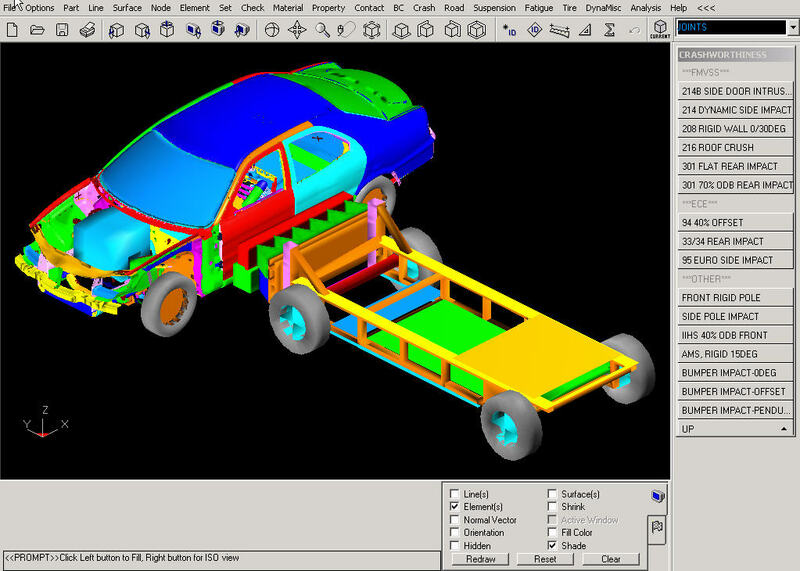 In this context, in 1995 ETA proposed VPG technology, a unified platform to simplify the modeling process, the introduction of virtual test field, which only need to establish a vehicle model (the process is simple), can the real test conditions in the car Road surface load), the vehicle non-linear virtual prototype simulation, to achieve the purpose of dynamic parameter design. At the same time for collision safety regulations, built-in collision safety regulations in Europe and America and a variety of collision models (dummy, barrier, seat belts, etc. ), easy to crash safety simulation. 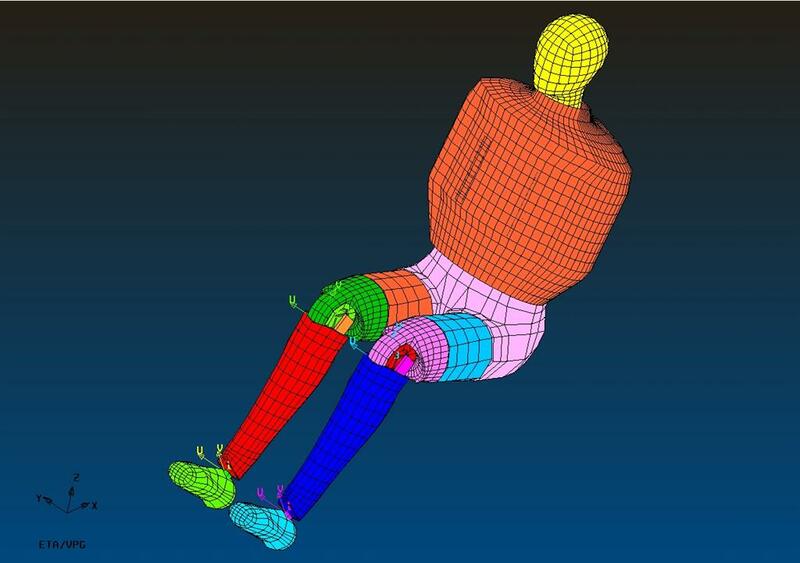 virtual prototype simulation, to achieve the purpose of dynamic parameter design. At the same time for collision safety regulations, built-in collision safety regulations in Europe and America and a variety of collision models (dummy, barrier, seat belts, etc. ), easy to crash safety simulation. - Obstacles, including side impact barrier movement, 0 degrees and 30 degrees before the collision obstacle (rigid), after touching an obstacle (rigid and deformable), the former bias touch obstacles. Automatic application of standard road load, the introduction of the United States MGA car test ground pavement database. 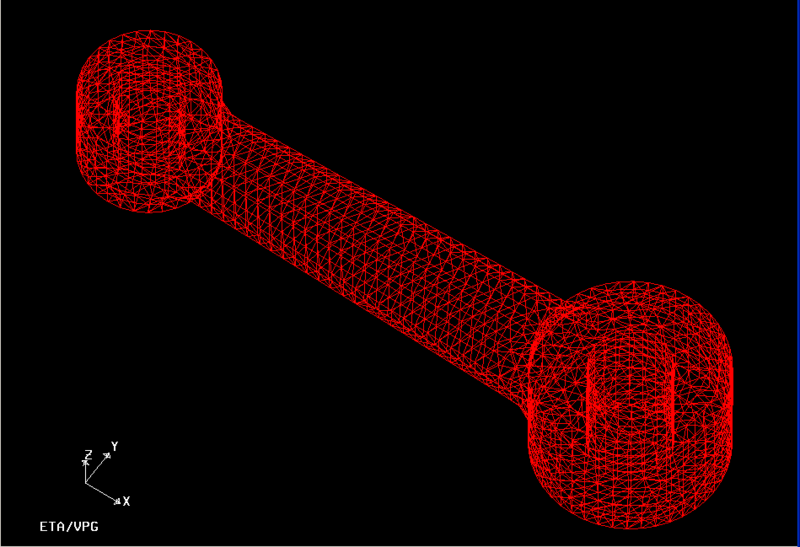 Now supports the CAD data format: IGES, VDA, DXF, CATIA, STEP, UG and so on. Famous for explicit dynamic analysis software LS-DYNA keyword, VPG / Prepost 100% support LS-DYNA all keywords, users can easily enter the graphical interface, without the need for text editing, and for each keyword parameters there is a brief explanation. ALE-FSI development originated in the US military needs, the US military asked ETA to develop a module for its ability to automatically generate ALE grid model and the ability to quickly define the ALE attribute module. The ALE-FSI module is integrated into the VPG 3.3 program, which is a specialized module for calculating military problems involving explosions. CAE engineers can use this module to conveniently deal with the problem of fluid-structure coupling, such as weapon design, structural damage and dynamic correspondence under explosive load. It can be more convenient to generate ALE models such as explosives, soil, air, water and grid. And also define the material parameters, state equation and fluid-solid coupling definition of ALE material. In this module, you can directly define the control tab of ALE, output the command file directly without any modification, and finally calculate After the ETA's ETA / POSTPROSESSOR software can also be used for post-processing. In the traditional algorithm, LS-DYNA can simulate the high-speed transient large deformation problem with Lagrange, Euler and ALE algorithms. The multi-substance ALE method can achieve the coupling between fluid and solid. 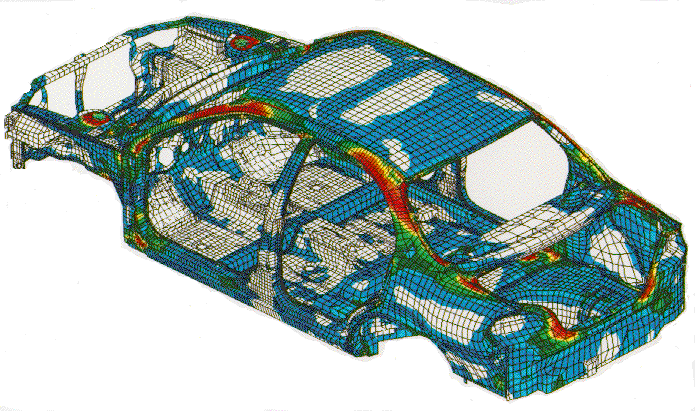 In mesh distortion processing, LS-DYNA's Lagrange adaptive mesh and re-meshing technique can solve the problem of mesh distortions caused by large deformation. Euler algorithm can deal with the deformation of arbitrary mesh, Euler step in ALE algorithm can automatically optimize the grid. 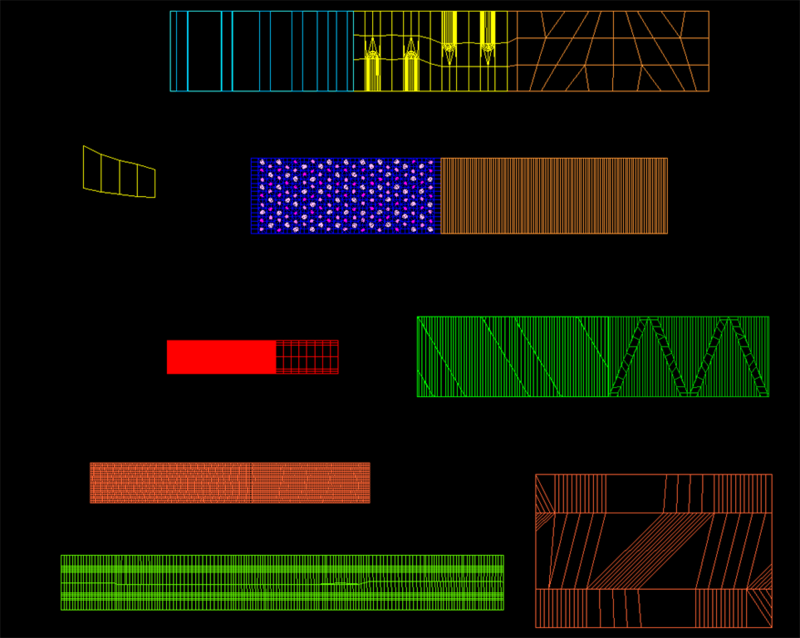 In addition, by defining the material effect can be removed due to large deformation caused by the grid. In the automotive model, the spot welding is the main connection method, there are more than 3000-4000, in the establishment of the finite element model, the spot welding manual processing workload, and prone to error, seriously affecting the progress of work, VPG provide Automatic solder handling tools, very fast generation of solder joints. 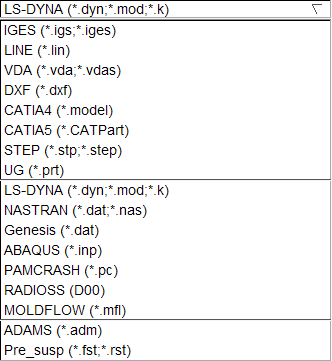 the new version of VPG supports NASTRAN, PAMCRASH, ABAQUS, RADIOSS and other finite element software data format, and provides the data conversion interface between software and LS-DYNA, for example: in VPG, it can directly take NASTRAN data model into LS-DYNA data model, so that vehicle analysis process, can greatly reduce the modeling time. Can produce for the LAN and presentation files, output AVI and JPG files. . 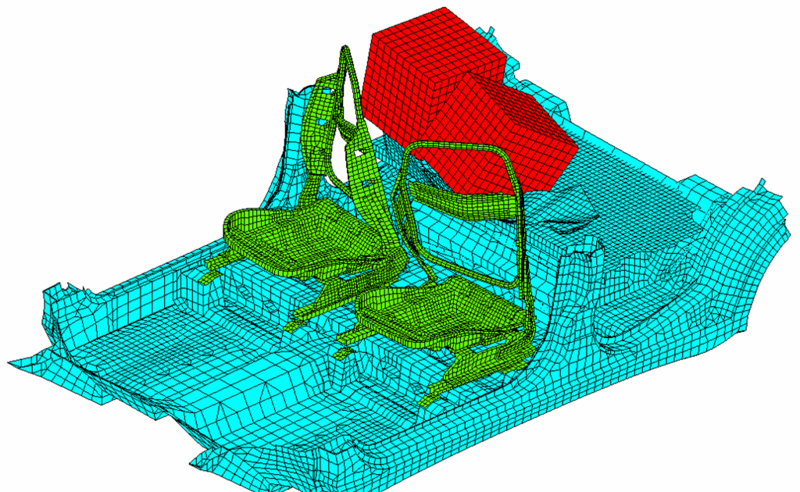 The structural failure is the main manifestation of fatigue damage, so in automotive finite element analysis, structural durability analysis is an important part. 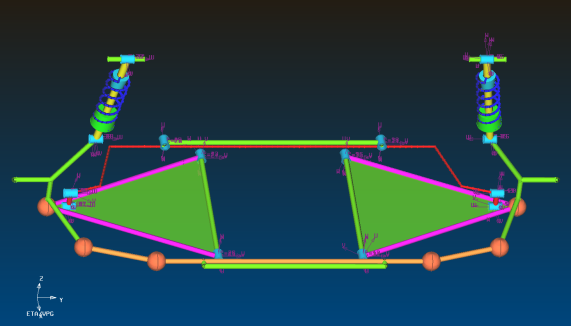 The most commonly used method is to generate or obtain road load data, and then carry out random analysis, the final fatigue life of the structure assessment. 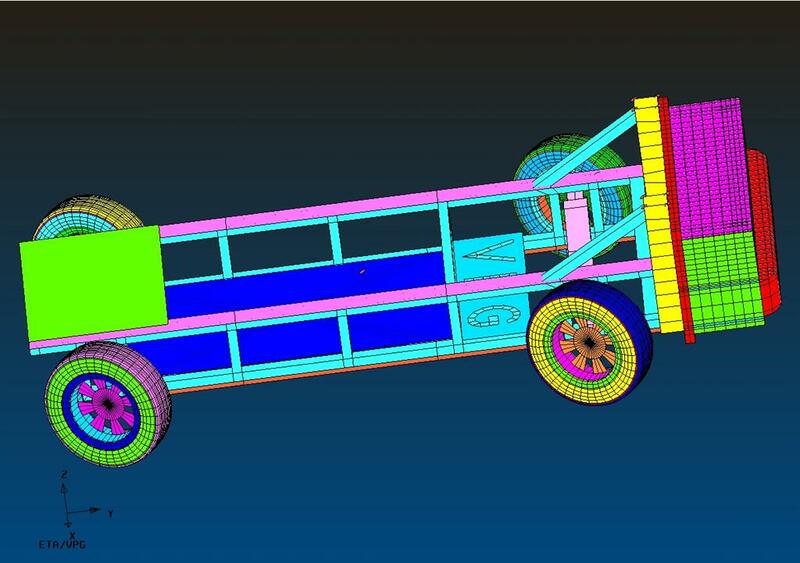 When the prototype is not yet available (in the conceptual design phase), road loads are usually based on assumptions such as automotive structures and suspension systems that are made up of rigid bodies. After obtaining the road load, only the linear elastic stress analysis, the stress is assumed to be the most serious fatigue damage events, based on the fatigue life assessment. 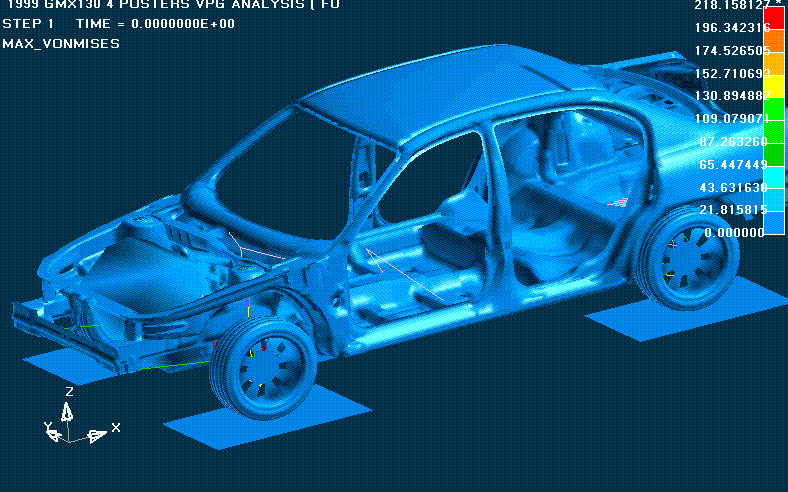 These assumptions limits the accuracy of current automotive structural durability analysis. 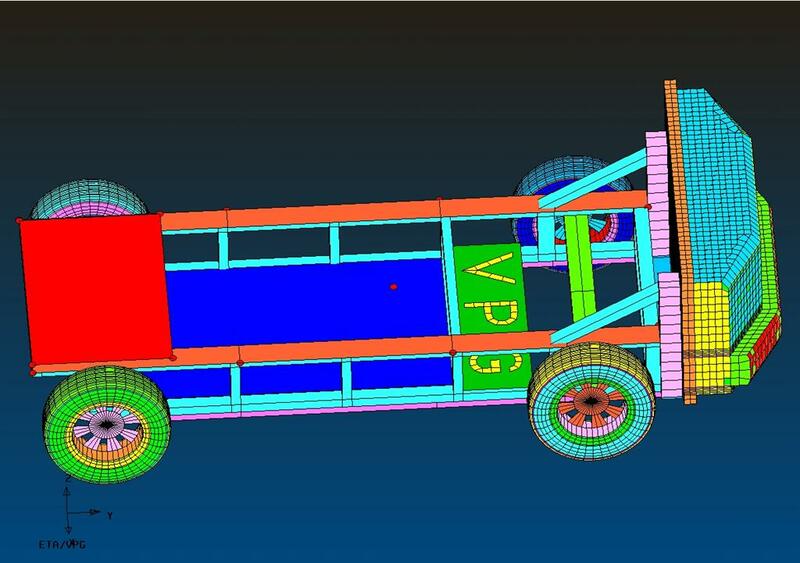 The application VPG durability analysis of automotive technology, is the vehicle through the establishment of the finite element model (including wheel tires, chassis and suspension), nonlinear dynamic explicit analysis procedures, elastoplastic stress analysis in a virtual three-dimensional road simulation tests conducted on the surface of the road, resulting in stress-strain response time history, on this basis, it can accurately assess the structural fatigue life. Since the analysis of such vehicle, which avoids the traditional CAE analysis,to determine relations between member force is difficult, such as fatigue analysis of random response in the body, avoiding the analyst must determine suspension pivot on the body through prototype testing force spectrum, then these forces filter spectral enhancement, digital and applied load spectrum profile on the body pivot table and a series of complex tasks. 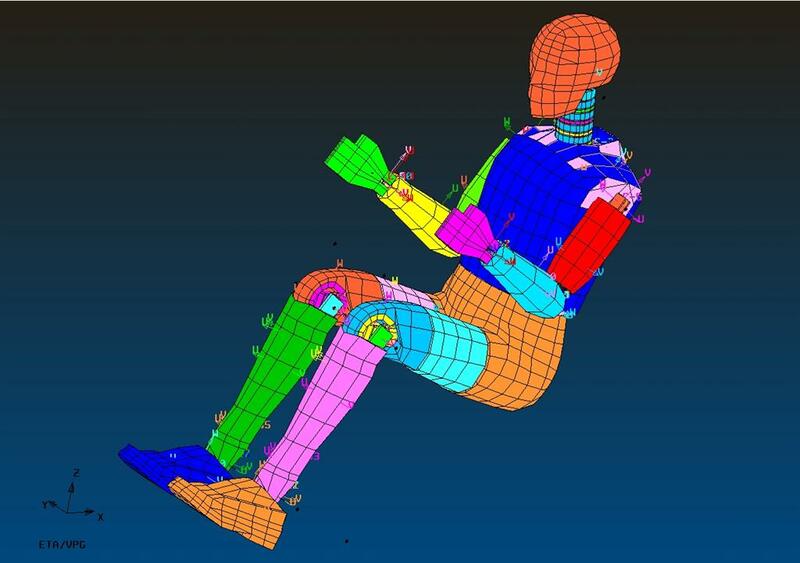 In the system kinematics and dynamics analysis, the body will not necessarily simplify the calculation and analysis for the rigid body, the elastic deformation of the vehicle body and suspension can be real or loss, thereby improving the accuracy of analysis. In the vehicle for the analysis of objects, only the boundary conditions and road speed, to achieve a load analysis to achieve standardization, the results more realistic, improve comparability. Since the road load database is comprehensive and authoritative (such as the American automobile proving ground MGA pavement library), it can be self-assessment test road used by the Company to analyze the results more practical. In addition to evaluate the accuracy of fatigue life on the damaged model, thecorrect simulation depends on the key of the stress-strain response, VPG can provide real stress-strain response and access to dynamic stress,it considers the impact of material and geometric nonlinearity and damping in the calculation which contains factors of nonlinear structure, the support body supporting the engine and other rubber joint, suspension and steering system is connected nonlinear factors cushion, non-linear factors wheel tires, tire contact with the ground conditions, etc., can be seen almost analysis Exclude the traditional CAE man-if analysis is often used. 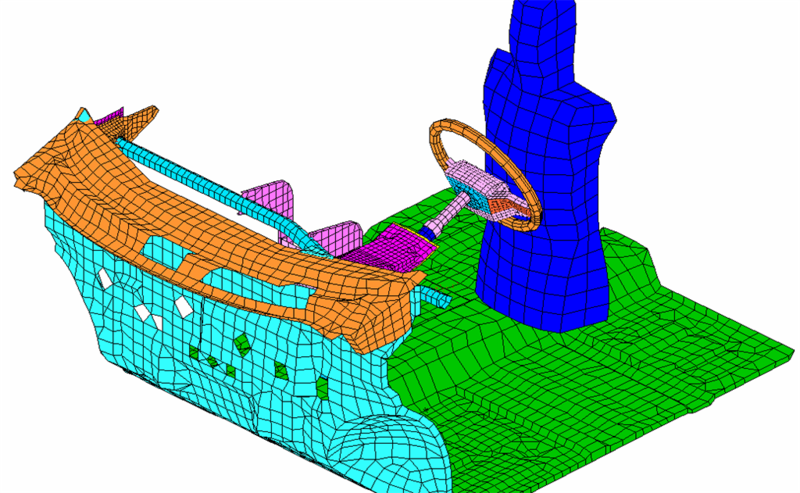 With the VPG technology, vibration, noise, and comfort (NVH) analysis and evaluation of the vehicle can be performed on the basis of time domain analysis. solution for modal / frequency, noise and acoustic response analysis is obtained. 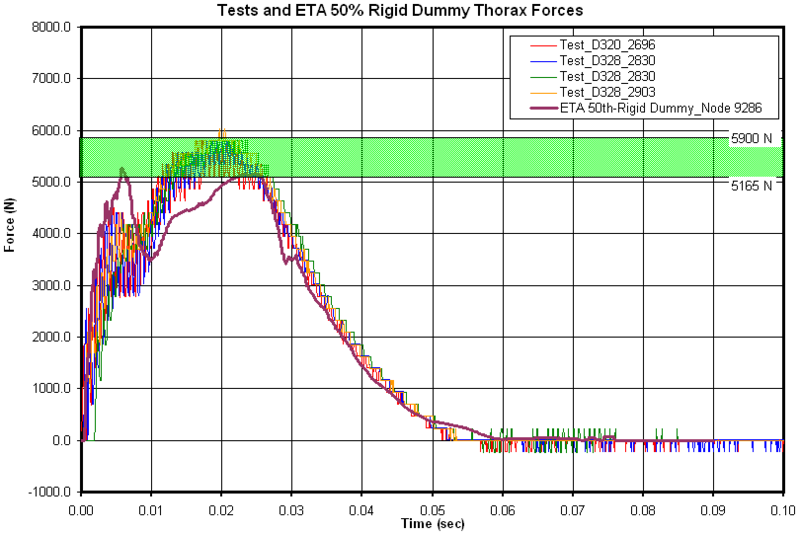 The data obtained in the time domain are not only real data measured in the test field, but also can be simulated by the pavement database, and the complex real load conditions can be combined. The tire is a key component of the road load, its response characteristics directly affect the correctness and accuracy of the analytical solution. 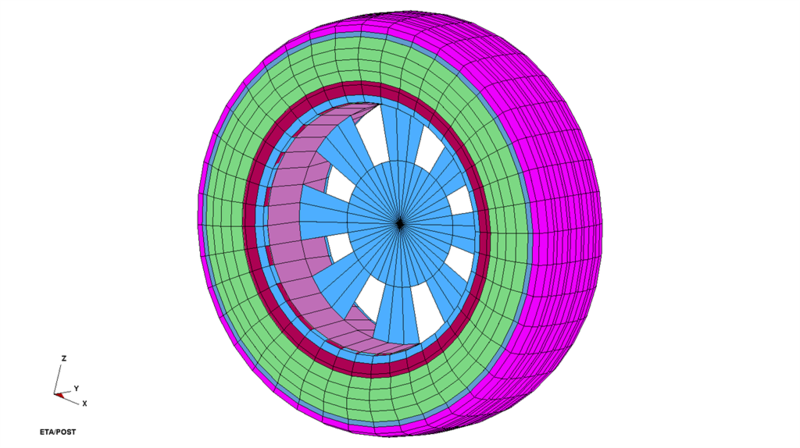 VPG has a variety of real tire models, including composite tire models, which allow the creation of realistic tire models for NVH analysis with a strong technical assurance. A standardized analysis procedure is established in full compliance with the collision regulations (FMVSS and ECE / EEC, etc. 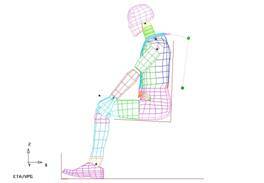 ), and users can easily perform crash safety analysis in a step-by-step manner. The ALE-FSI module is added in eta / VPG 3.3, which is a specialized module for computing military problems such as explosions. Its strong coupling of fluids and solids can be used for a wide range of explosions (underwater, airborne, building Material and soil), airbag deployment, tank liquid sloshing and other analysis. 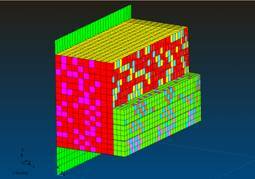 Users can compare ALE and SPH numerical simulation work which automatically generate ALE grid, the definition of the size of explosives, location, and the mesh of the explosive unit. VPG explosion module can be more convenient for explosives, soil, air, water and other ALE model generation and grid division, and also more convenient to control the grid density. The definition of ALE material parameters of various materials, state Equation and fluid-solid coupling definition. In this module it can be directly define ALE control tab and direct output command file without any modification. 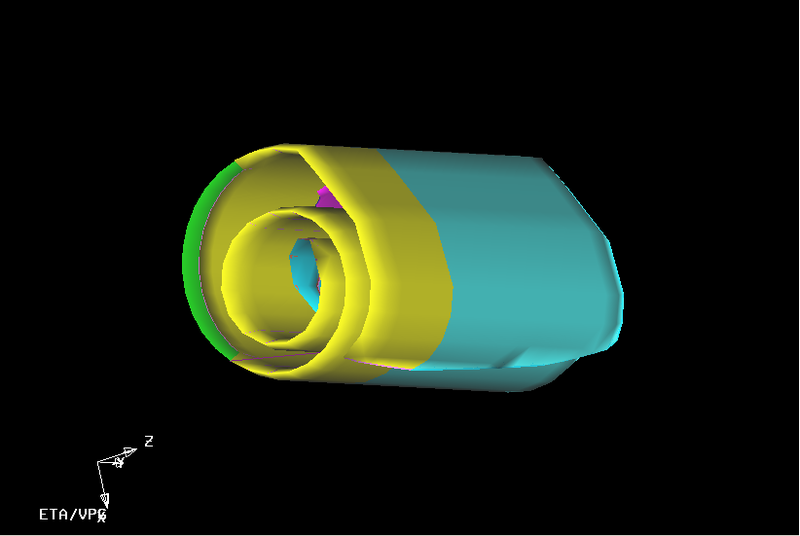 Fluid-solid coupling problem can be easily and accurately simulated by explosion module. 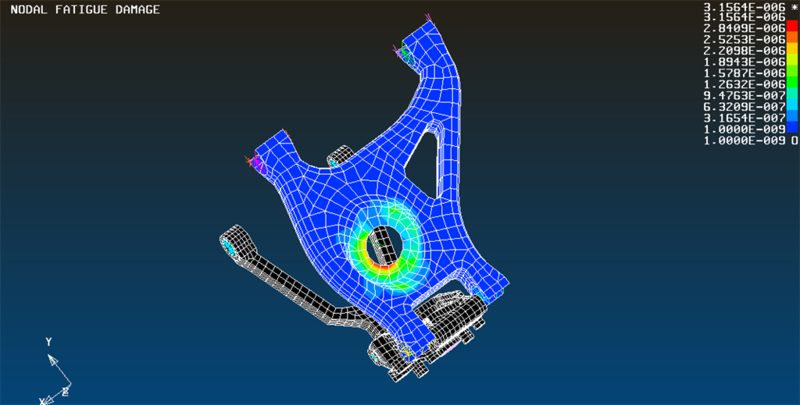 Users can take advantage of LS-DYNA's cell libraries and material libraries to generate complex structural models to simulate fluid-structure coupling problems such as weapon design, structural failure and dynamic response under explosive loads. EtaPostProcessor powerful post-processing function allows users to easily visualize the simulation results of the explosion shock wave and other parameters of the time history relationship. Some of its graphical data processing functions also provide deep-level evaluation of some data results. 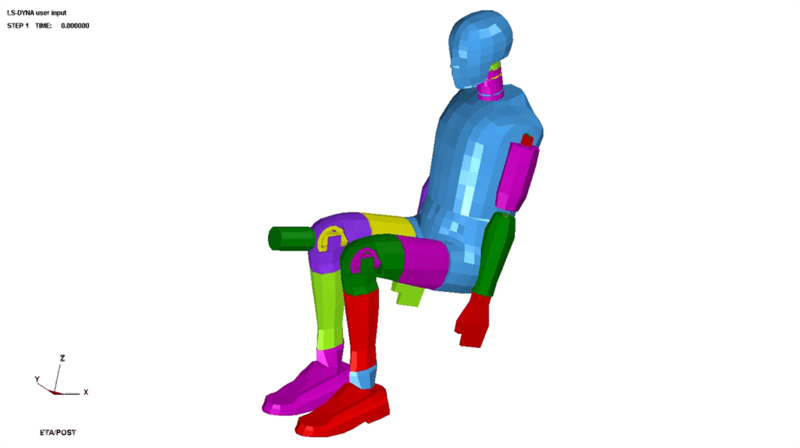 Eta / VPG 3.2, there are front-end and side-impact dummy models for automobiles and FAA dummy models for aerospace applications. All the dummies are simulated according to the corresponding rules. The simulation results are in good agreement with the experimental results. 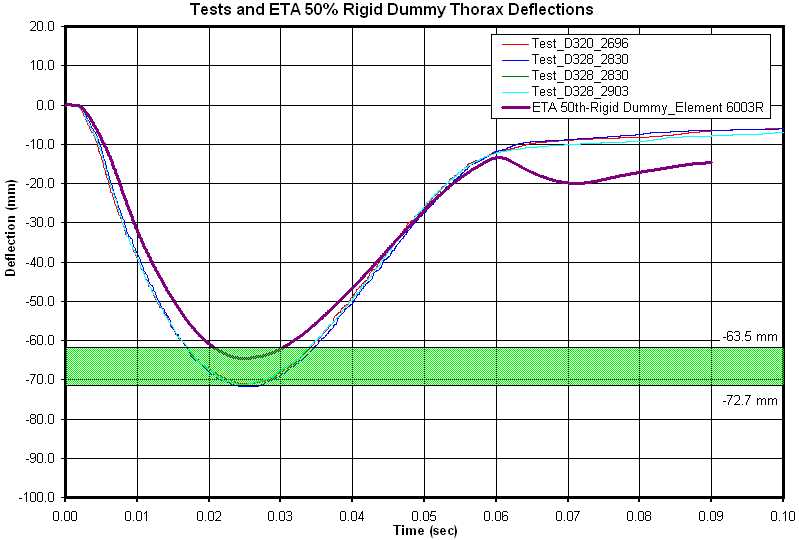 Here only 50% of the dummy is rigid , for example, 50% rigid dummy is in accordance with FMVSS 572 regulations to verify. From a height of 376 mm from the horizontal plane of the rigid, the head is released instantaneously, so that the head of the free-fall to the level of a rigid plane, this plane is rigid 610 mm2 and a thickness of 50.8 mm. As a result, the requirements of the center of gravity of the head acceleration between 225Gs and 275Gs. 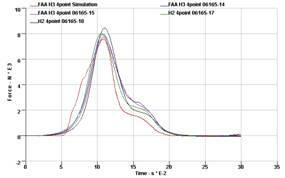 The result of the comparison shows that the simulation result of peak acceleration of head center of gravity is 239.2Gs, which satisfies FMVSS 572, and the simulation result agrees well with the experimental results. Hanging the head and neck assembly on a rigid pendulum, releasing the pendulum from a certain height requires that the tangential velocity of the pendulum centerline at the moment of contact of the pendulum and the honeycomb structure for the neck bend verification 23.0 ft / sec. 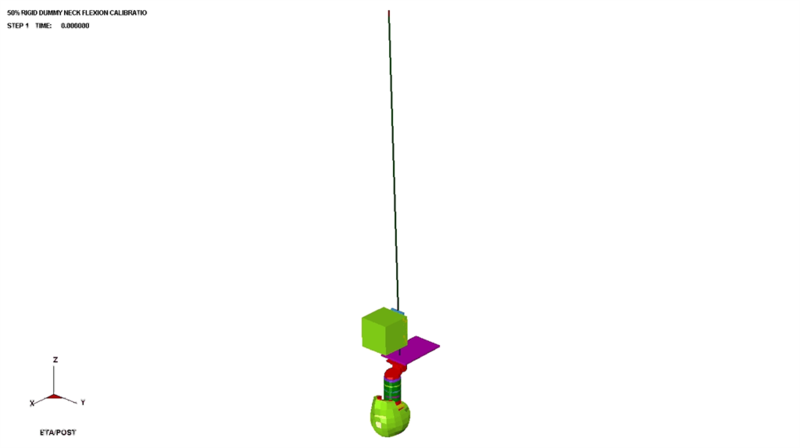 For neck extension verification, the tangential velocity of the centerline of the pendulum should be 19.9 ft / sec. According to FMVSS 572, the neck bending moment should be between 88223N-mm and 108582N-mm . 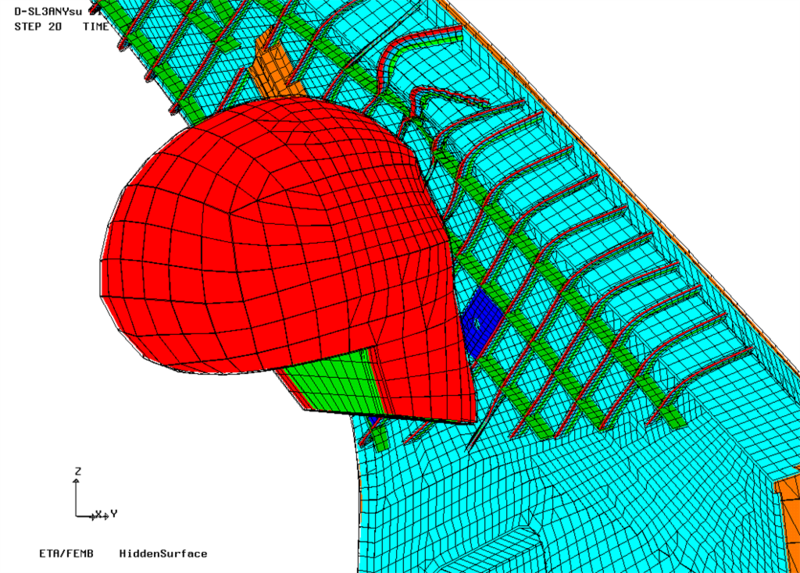 For cervical extension verification, the maximum neck bending moment should be between -52934N -mm- and 80079N-mm. 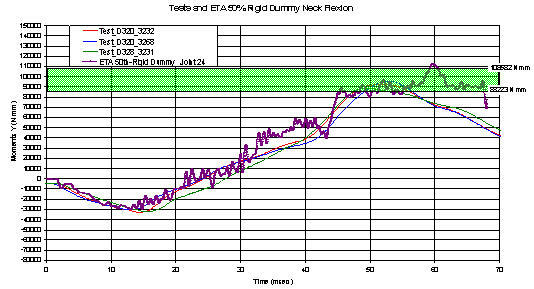 Results can be obtained from the comparison chart, neck bending simulation results maximum 112606N-mm, slightly higher than the FMVSS 572 regulations a little, but on the whole, simulation and experimental results agree well. 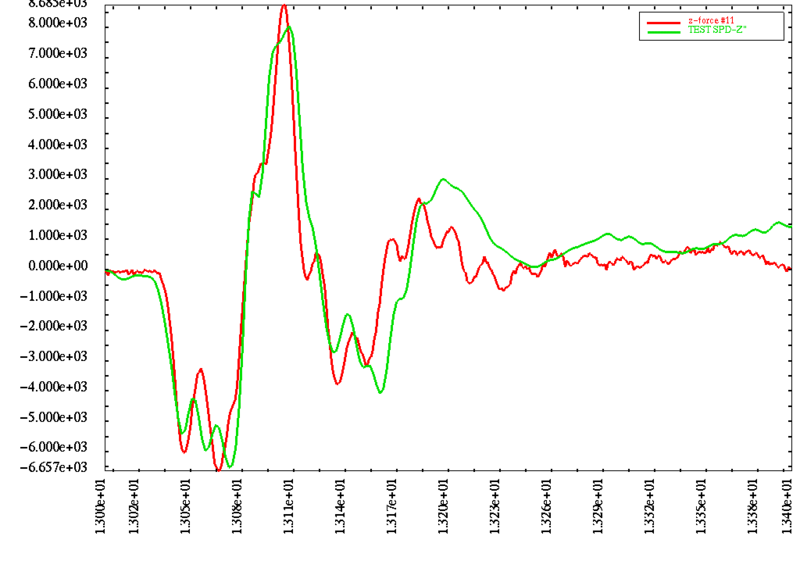 Comparison chart can be obtained from the results, neck extended simulation results maximum -89850N-mm, than the FMVSS 572 regulations are slightly higher, but the whole point of view, the simulation results and trends of the experimental results are consistent. Place the dummy on a level, rigid surface with no support on the back and arm areas, legs and arms horizontal, and the chest vertical. A dummy chest was impacted at an initial velocity of 6.7 m / s using a 23.5 kg impactor having a diameter of 152.4 mm. FMVSS 572 requires maximum chest impact of between 5165 N and 5900 N, with a maximum offset of -63.5 mm and -72.7 mm relative to the sternum of the spine. The result of the comparison shows that the peak value of the chest force simulation is 5558N, which meets the FMVSS 572 rule, and the simulation results are in good agreement with the experimental results. Results can be obtained from the comparison chart, spine sternum relative to the maximum offset value, the simulation results are -64.6mm, it meets FMVSS 572 regulations, and the simulation results agree well with the experimental results. With a mass of 4.994kg diameter 76.2mm impact member to 2103mm / s initial velocity impact dummy knee, the result requires knee impact force is not less than 4720N, and not more than 5789N. 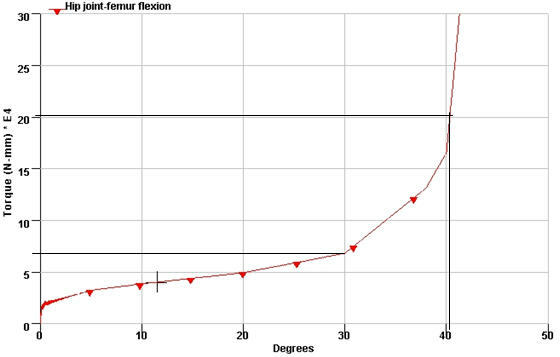 Comparison chart can be obtained from the results, the simulation results, the impact force of the femur maximum 5641.7N, which meet FMVSS 572 regulations, and the simulation results agree well with the experimental results. Femur in a curved direction revolving, revolves 30 degrees when the required torque does not exceed its revolving 95009N-mm; when it revolves torque 203591N-mm, requires its revolving angle of not less than 40 degrees, and not more than 50 degrees . 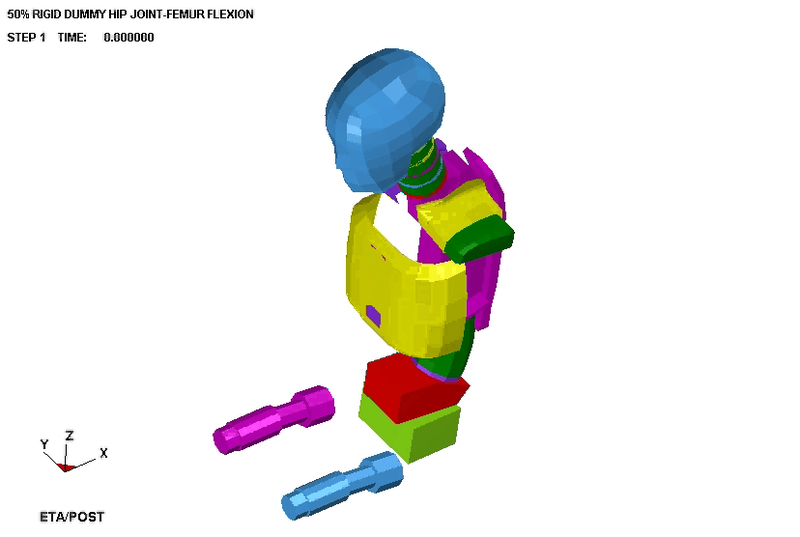 Hip flexion model simulation results of FIG. Results can be obtained from the diagram, the simulation results, when the angle is about 30 degrees, the revolving torque 68402N-mm; when the revolving torque 203591N-mm, which is about a 41-degree angle, they meet FMVSS 572 regulations. 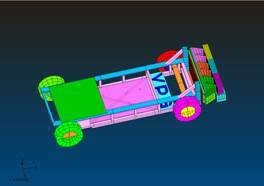 VPG (Virtual Proving Ground) automotive CAE technology is a very representative of the art of progress. ETA VPG software is in the process of major car manufacturers (such as FORD, GM, DAIMLERCHRYSLER, KIA, etc.) nearly 20 years of cooperation, has accumulated rich experience in the automotive industry, CAE technology services developed vehicle simulation software. Applications include vehicle crash and safety analysis, NVH analysis, vehicle durability analysis, automotive subsystems and components analysis, and so on. Use PreSys DAB easy to define fold. In addition to its powerful structural dynamic analysis module, LS-DYNA also has a powerful function of coupling fluid and solid. It is widely used in various explosions (underwater, air, buildings and soil), airbag deployment, shaking and so on. The various algorithms of LS-DYNA and the ALE-FSI (fluid-solid coupling) function are discussed in detail below..
LS-DYNA program with Lagrange, Euler and ALE algorithm, the schematic diagram shown in above figure (Lagrange algorithm) unit cell attached to the material, with the flow of materials generated by the deformation of the cell grid. 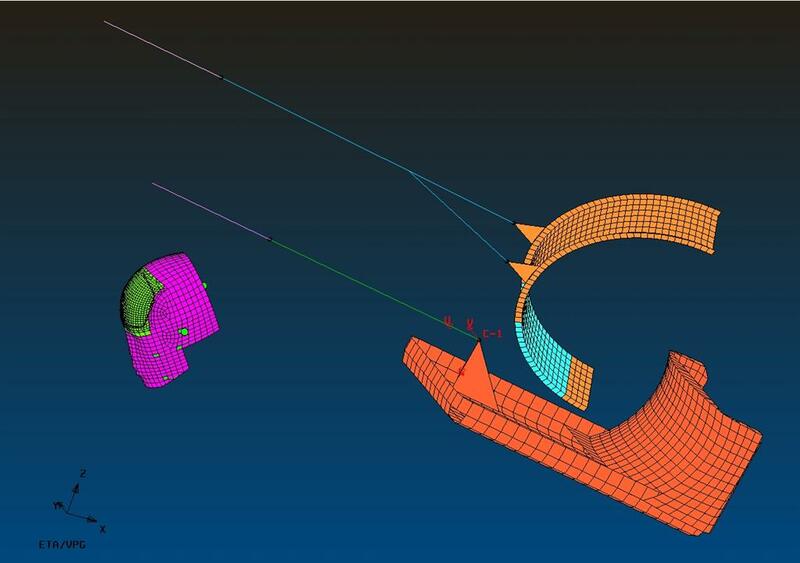 However, when the deformation is too large, there is a possibility of serious distortion of the finite element mesh, which may cause difficulties in numerical calculation and even stop the calculation. ALE (Arbitrary-Lagrangian-Eulerian) algorithm and Euler algorithm can overcome the difficulty of numerical calculation caused by severe distortion of the element and realize the dynamic analysis of fluid and solid coupling. As shown in figure, the Euler algorithm is a two-layer grid overlaid together; one is the space grid, another layer attached to the material with the material in a fixed space grid flow. 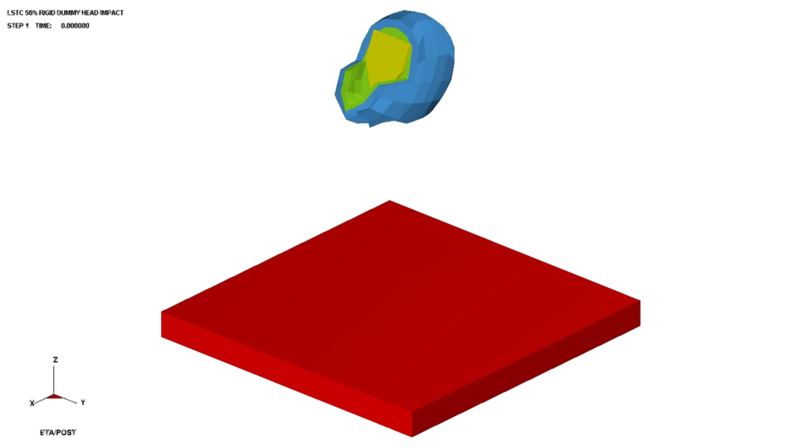 First, the material mesh is deformed by a Lagrange step, and then the state variables of the Lagrange element are mapped or transported to a fixed spatial grid, thereby dealing with large deformation problems such as liquid flow. The ALE algorithm is also a two-layer mesh overlay, but the spatial mesh can be arbitrarily moved in space. 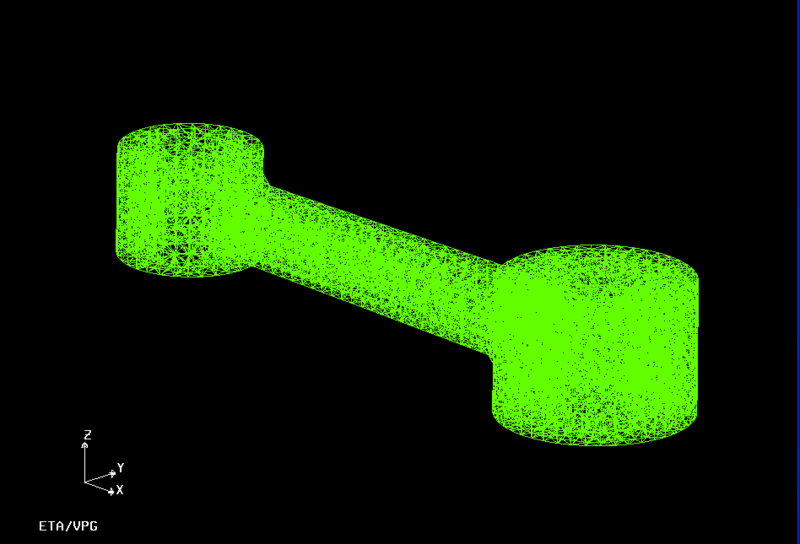 The algorithm first performs one or several Lagrange time-step calculations, where the cell mesh is generated in parallel with the material flow, and then performs the ALE step calculation: (1) maintaining the deformed object boundary condition, re-meshing the inner cell (Density, energy, stress tensor, etc.) 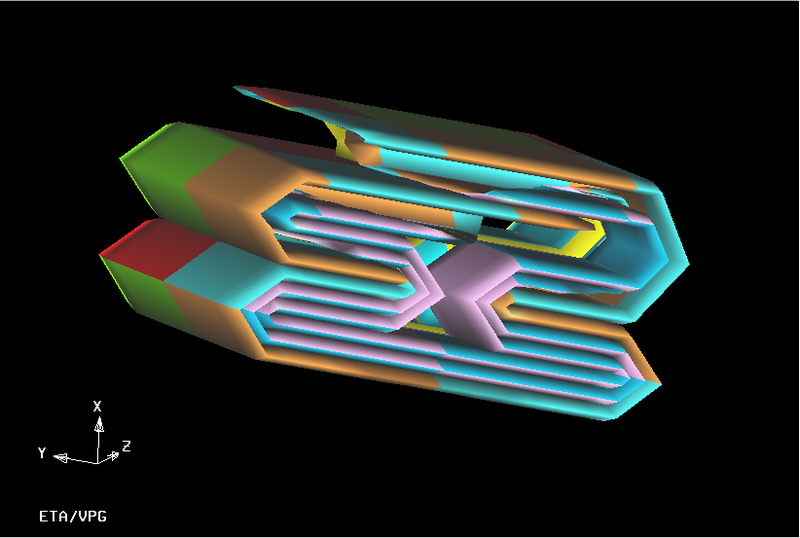 and the node velocity vector in the deformed mesh are transported to the new mesh after the re-division. In this way, the topological relations of the lattice and lattice are kept unchanged, Lattice, called Advection Step. The user can select the start and stop times of the ALE step and its frequency. Taylor rod 2 as shown in Fig impact problem, if Lagrange algorithm, due to the design of high-speed impact, since the unit in the club head Taylor severe deformation, the grid unit is likely to cause distortion, resulting in numerical difficulties, and even calculate suspension. The use of ALE algorithm, due to the deformation process mesh rezoning and smooth function such that the deformation unit is smooth, uniform, avoiding the mesh distortion occurs. 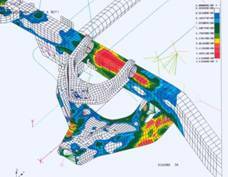 LS-DYNA can also mesh with the full Euler Lagrange finite element mesh easily coupled to process fluid structure interaction problems in a variety of complex loads, namely ALE-FSI. Here FSI refers Fluid-Structure Interaction, which means fluid-solid coupling. 3, under normal circumstances, bullet penetration steel and other similar problems, each member should adopt the Lagrange algorithm, easier to obtain destroy the interface structure after deformation. Similar explosives in the water, air explosion because only relate to various types of fluid substances, should adopt the ALE algorithm space of a point overpressure. 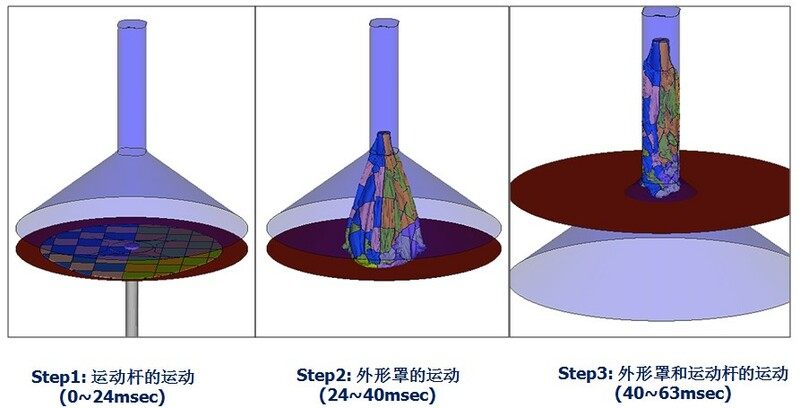 The problem is similar to the destruction of underwater explosion cylindrical structure, which requires the design of interactions between fluid and solid, we need to use the ALE-FSI (fluid-structure coupling) algorithm. The calculation process to set up water, explosives, into the air dielectric grid ALE, the cylindrical structure arranged Lagrange grid defined by fluid-structure coupling between them, you can solve a similar underwater explosion on the structure damage problem. , The program VPG 3.3 now integrates explosion in Figure 4 ALE-FSI module, which is the calculation involves explosions and other military issues specialized modules. With this module CAE workers can be more convenient handle design similar weapons under explosive load, dynamic response and structural damage and other fluid-structure interaction, it can be more convenient generation and grid explosives, soil, air, water, etc. ALE Model division, but also relatively easy to define the material parameters ALE various materials, define the equation of state and fluid-structure coupling in this module can be defined directly ALE tab control, direct output of the command file without any changes, and finally after calculating the company but also by ETA ETA / POSTPROSESSOR post-processing software. 2) Several Smoothing algorithm options;. 3) first and second order accuracy of the transport algorithm;. 6) coupled with the Lagrange automatic train-shell elements, beam elements and solid elements. The traditional algorithms, LS-DYNA using Lagrange, Euler and ALE algorithm can accurately simulate the speed transient large deformation. ALE multi material can be achieved between the fluid-structure coupling. On the mesh distortion process, LS-DYNA of Lagrange and rezoning adaptive mesh grid technology can solve the difficult process because of the large deformation mesh distortion caused. Euler algorithm can handle any deformation of the grid, ALE algorithm Euler step can automatically optimize grid. Further effectiveness by defining the material can be removed due to the large deformation of the mesh. Tanks, armored vehicles industry, missile design and optimization, artillery industry, light industry, weapons, ammunition and military optoelectronic industry, the electronics industry. 1. 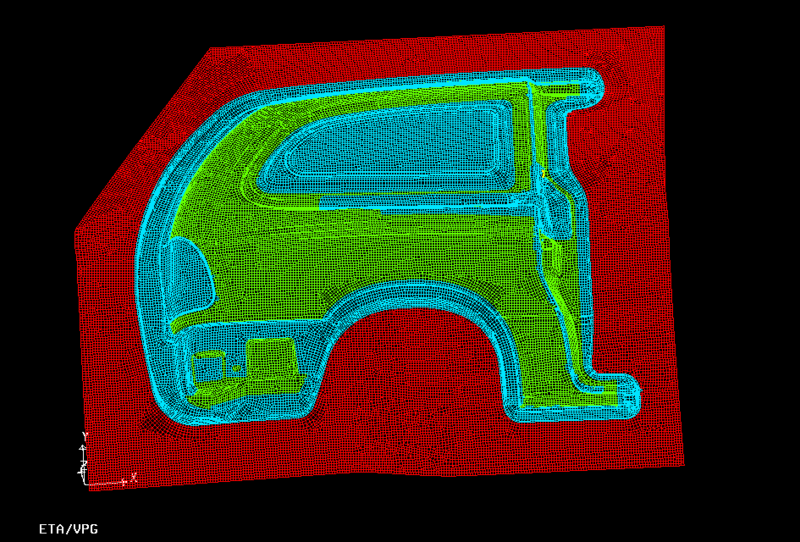 CAE simulation study can effectively shorten the development cycle of new products, dramatically reduce product development costs. Because the size of the original cost of the experimental weapons and ammunition industry and the target expensive, experimental data obtained is very limited or even impossible to test. Use LS-DYNA to analyze the development cycle can be shortened to save development costs. 4. Each user (including the development of weapons and equipment department, purchasing department, training department and military use) may be required by the comprehensive application of the various means of simulation exercises, training and test synthesis environment, identification of existing and the development of weapons and equipment performance, tactical deployment and logistical support. 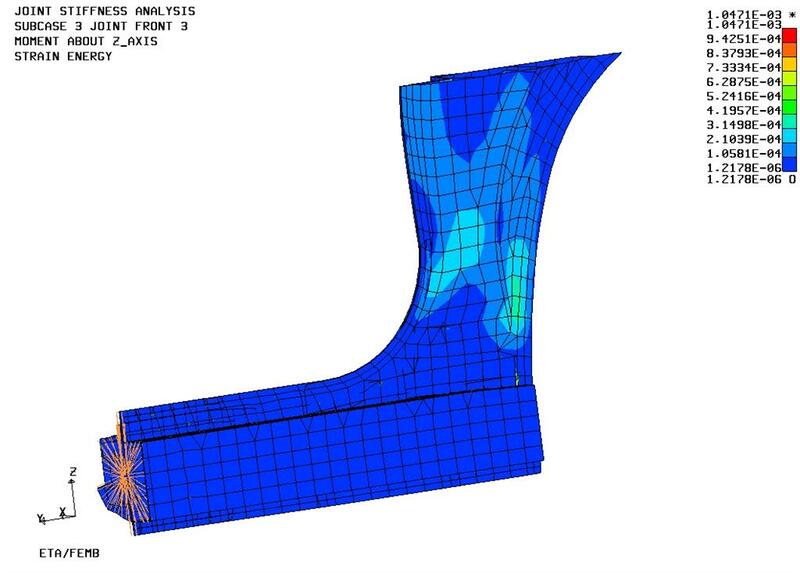 Use VPG / LS-DYNA software ALE-FSI (fluid-structure coupling) of the above-described method can be carried out several aspects related to numerical simulation. 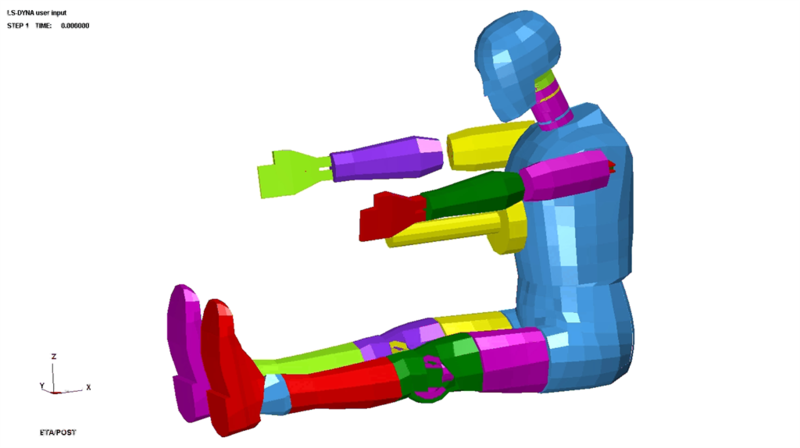 In eta / VPG 3.3, including the applicable automotive and aerospace industries and other types of dummies. In this document we are only in the aerospace, aviation used to test seat FAA HYBRID III dummy as an example. FAA HYBRID III dummy is used to verify in accordance with FAA regulations, the relevant provisions of air seats to validate the dummy. In the verification process, the rigid structure of the seat, the seat is to reduce the impact of the performance, such as dynamic rigidity, plastic deformation, and so on. 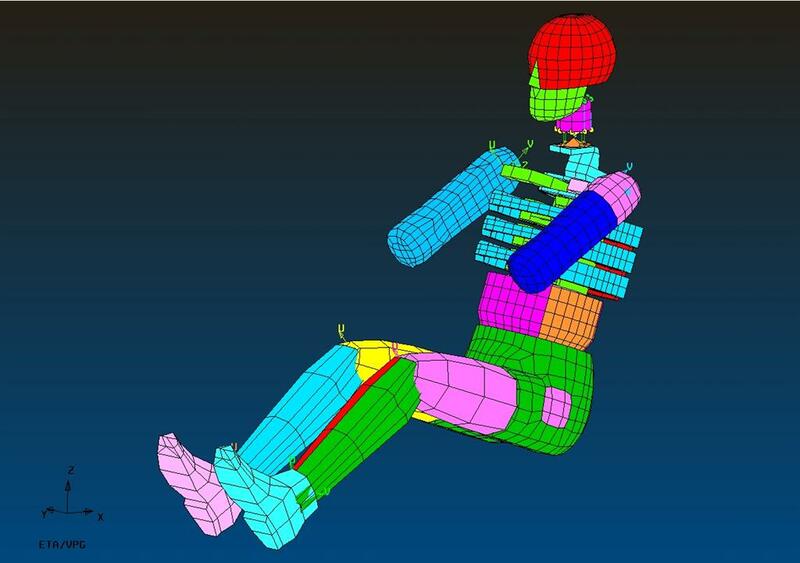 Dynamic impact simulation FAA HYBRID III dummy is to study the impact of various response dummies. 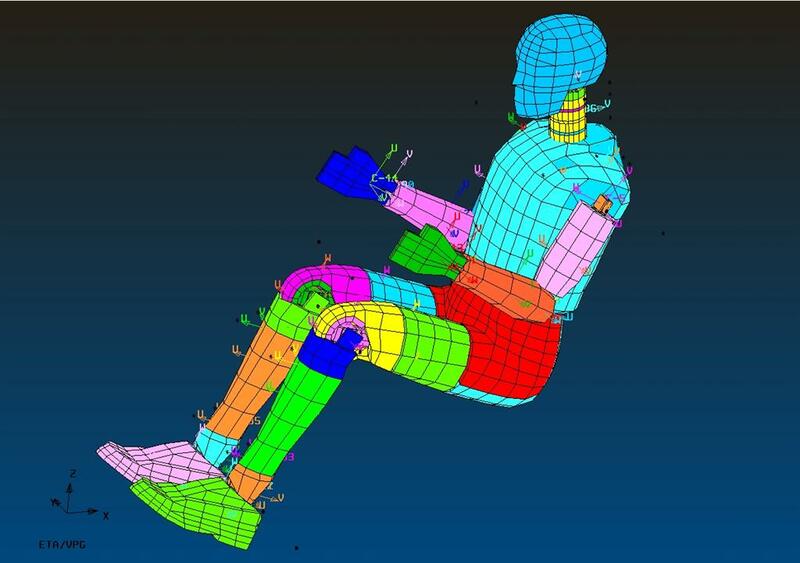 Simulation of the impact, there are two rigid seat positioning, one is 60º position, Figure 1; the other is the 0º position, Figure 2. 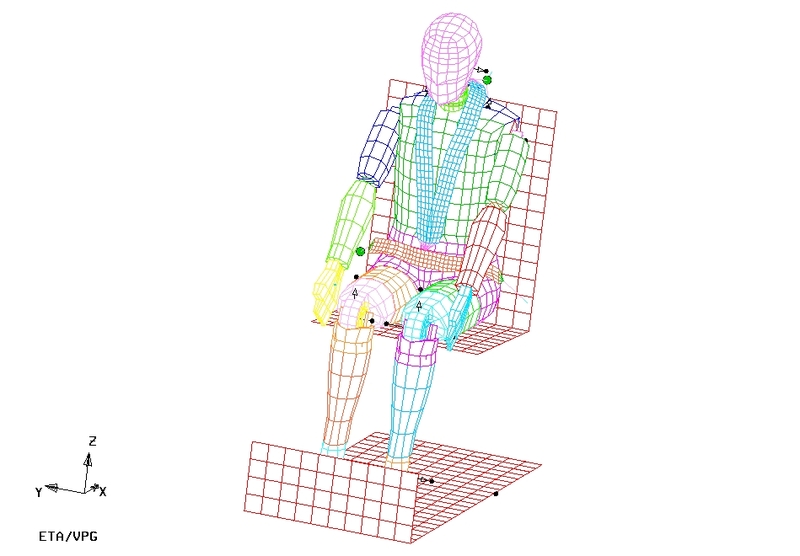 Therefore, the FAA HYBRID III dummy simulation tests which includes: 2-point seat belts in simulated 0º, 60º at 2:00 belt simulation, 3-point seat belts at 0º analog and analog 4-point seat belts at 0º. Here, we only 4:00 belts 0º simulation as an example to demonstrate the validation process of the dummy, and the simulation results with the experimental results obtained responses were compared. 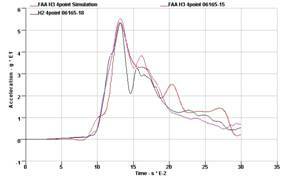 FAA Hybrid III dummy 4:00 belts 0º simulation, the following table summarizes the various response during the simulation obtained FAA HYBRID III dummy. 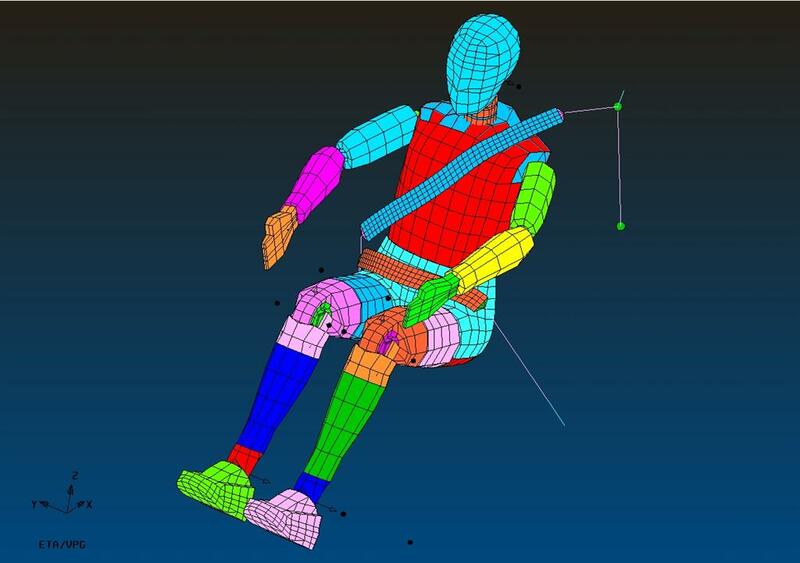 The figure is the FAA HYBRID III dummy 4:00 belts 0º finite element model and simulate the entire process, the rigid seat is defined acceleration pulse. 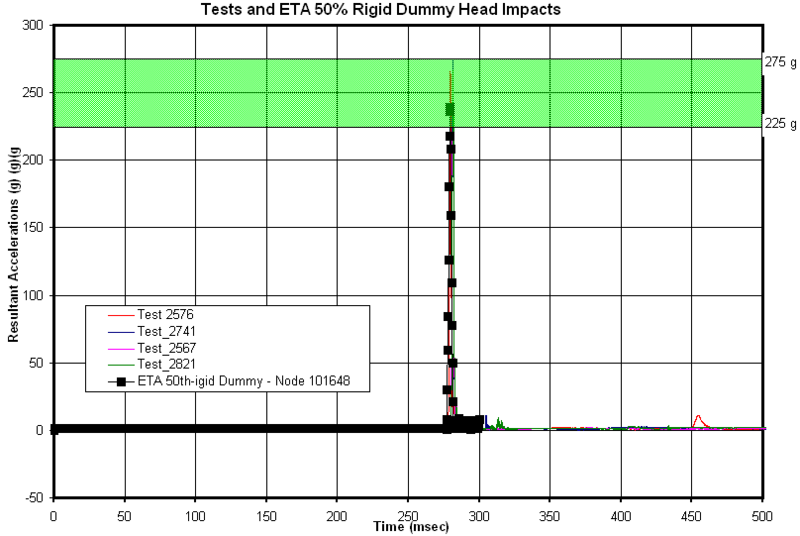 As shown below in response to simulation results and experimental test results, which include the response from the experimental results with a variety of HYBRID II and the FAA HYBRID III. 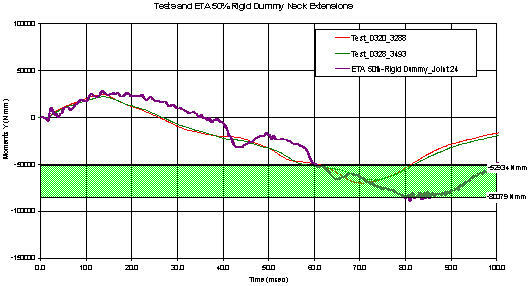 Red curve represents the result of a simulation FAA HYBRID III, the blue and pink on behalf of the FAA HYBRID III experimental test results, and green and black represents experimental results of HYBRID II. Here, we focus only the head and the left knee belt resultant acceleration force as an example. Figure 6 shows the center of gravity of the head and the resultant acceleration time correlation curve. Its peak acceleration simulation results are 54.1Gs. 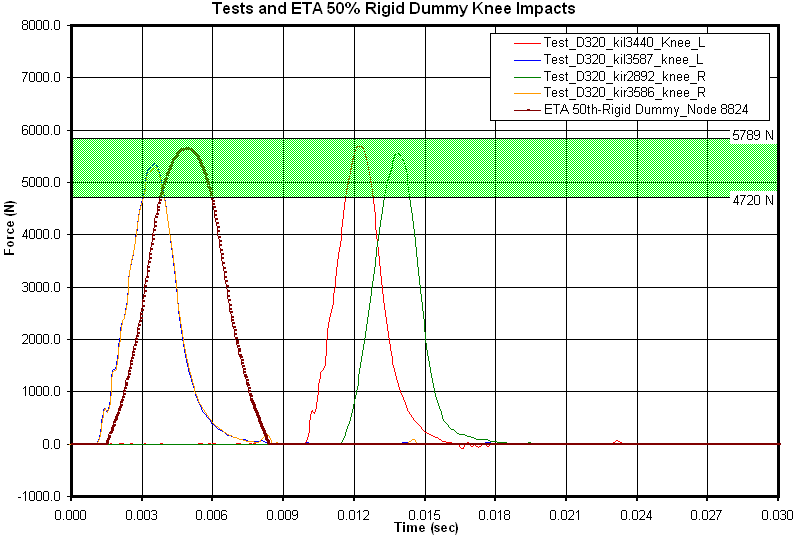 Figure 7 shows the correlation curve left knee belt force and time. 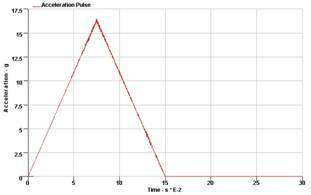 Peak force its simulation results are 7590.3N. All the above illustration shows, the dummy simulation results and experimental results coincide well. Other dummy FAA HYBRID III dummy in the presence of ETA and ETA / VPG software, can be used together with the dummy positioning tool belt and modeling tools. 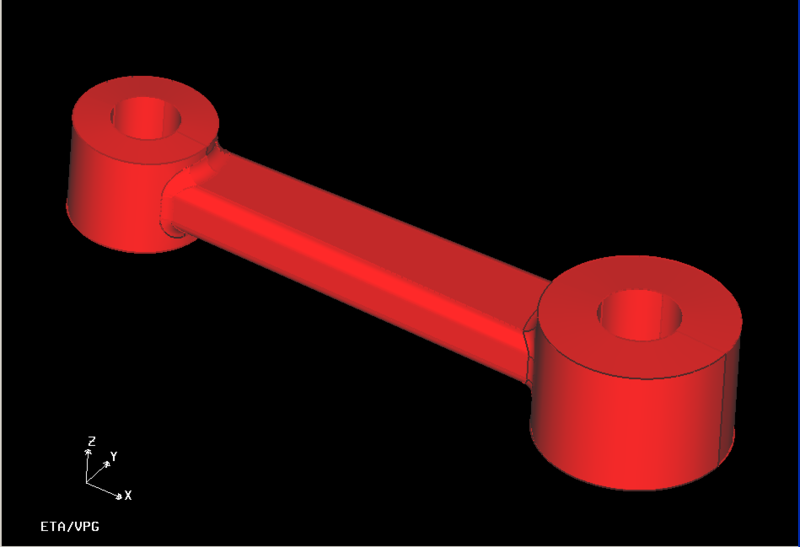 1) with the CAD interface: Supports Rro / E, UG, CATIA, IGS, VDA. 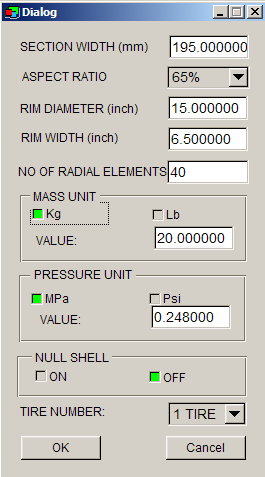 Radioss, PAMCRASH and ABAQUS solver. 3, topology automatic mesh generation tools: Auto repair surface gap, repeating surface and the hole is filled. 4, solid mesh generation tools: support tetrahedron (4-node, 10-node), hexahedron (8 nodes) unit type. VPG / Prepost can quickly and easily define the LS-DYNA material keywords and give related parts. 6, material thickness calculation tools: Use-step molding method can predict the thickness of the sheet metal after forming. 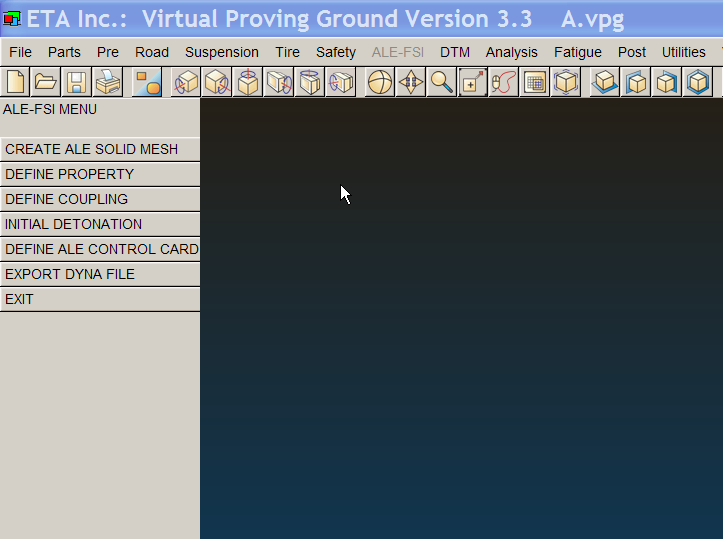 VPG / Prepost can easily define constraints, initial conditions, boundary conditions and other load boundary. 5) Support multi-point excitation, different loading stress results, guidelines for the use of Miner linear cumulative damage calculation. VPG's safety module includes a series of tools Library: Includes dummy library, barrier libraries. It offers a range of collision setup process wizard. Including MFVSS, ECE, IIHS regulations. 2) barrier: FMVSS / ECE side impact barrier, hit 0 degrees before the rigid wall, rigid wall 30 before the collision, the front offset collision barrier after barrier collision. 1) MVSS American rule: the side door intrusion amount of 0 degrees / 30 degrees rigid wall, roof crush, hit the wall after 70% deformation. 2) ECE European regulations: 40% front offset collision, a rear end collision. 3) the insurance company regulatory requirements. 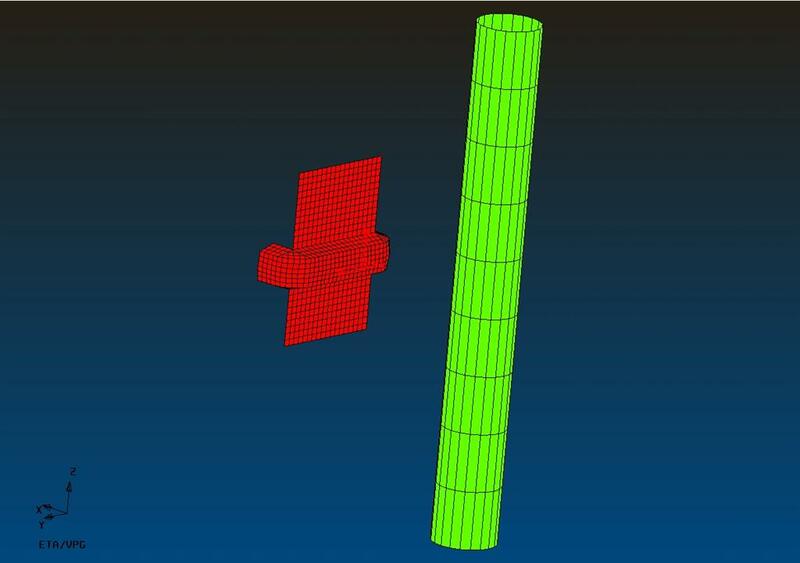 Rigid column before the collision, side impact and other rigid column. 2) folding process can be saved, you can use the same method of folding is repeated folding. 3) including the scroll, screw and other folding method.